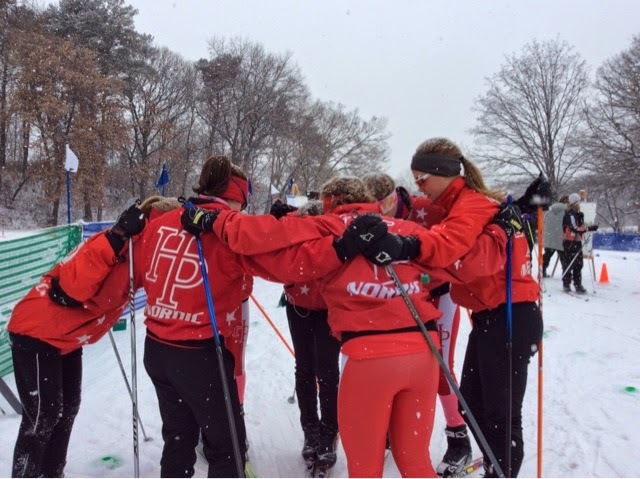 Last Tuesday, after a week of training, the Highland Park Nordic Team had our Section Meet. This year there was a change in the rules so now 2 teams from each section go to state and only 6 individual girls. We got 2nd for the past 2 years, but this year the competition was thicker.